The Canadian aircraft manufacturer, Bombardier, announced earlier today that it has signed a letter of intent (LOI) for up to 24 CS300 aircraft with EgyptAir Holding Company, of Cairo. 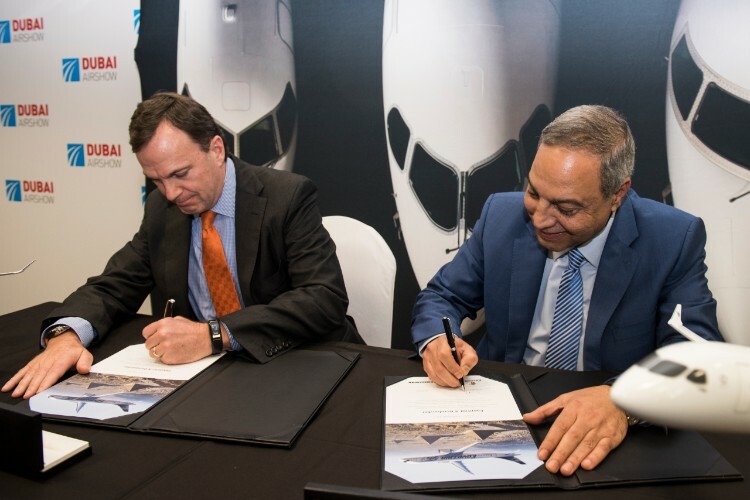 The deal signed at The Dubai Airshow includes 12 CS300 aircraft with purchase rights for an additional 12 aircraft. 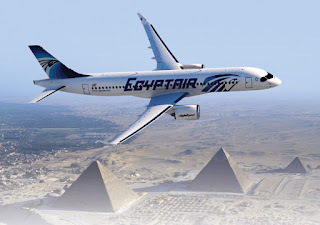 EgyptAir is the national airline of Egypt, based in Cairo. It was established on May 7th, 1932 as the first airline in the Middle East and Africa and the seventh in the world to join IATA. EgyptAir network reaches more than 70 destinations to about 60 countries around the world to meet the needs of its customers. 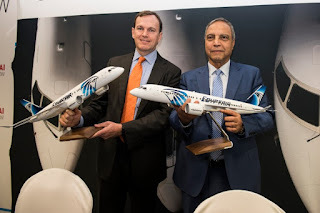 EgyptAir is a Star Alliance member since July 2008. 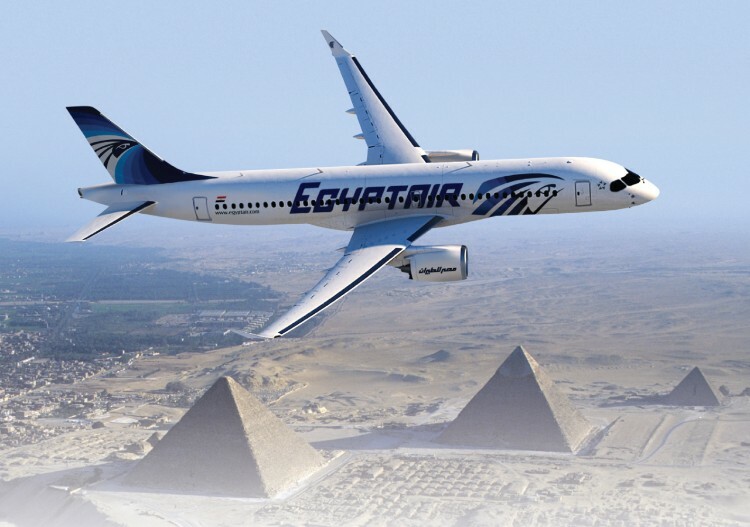 More news and information are available at www.egyptair.com and EgyptAir official pages on social media. The C Series is the only aircraft optimized for the 100 to 150-seat market segment, which drives the aircraft’s phenomenal economic proposition and performance, opening up new opportunities for single-aisle aircraft operation. 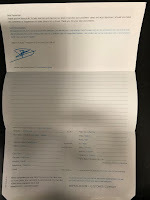 The C Series aircraft is manufactured by the C Series Aircraft Limited Partnership, an affiliate of the Bombardier Commercial Aircraft segment of Bombardier Inc.
Comprised of the CS100 and the larger CS300 aircraft, the C Series family represents the fusion of performance and technology. The result is aircraft that deliver unmatched performance and economics in the 100 to 150-seat market segment and an 18 percent lower cost per passenger, making them the ideal candidates to complement larger single-aisle aircraft. Airlines can now operate routes that were previously not profitable or even possible. An improvement in range in excess of 20 percent out of hot-and-high airports such as Denver, Mexico City or Lhasa has been confirmed. Bombardier has created a new standard in cabin design and flexibility to ensure an unrivalled passenger experience. The aircraft’s larger seats, overhead bins and windows deliver a wide-body feel that offers passengers unparalleled comfort in a single-aisle cabin. The CS100 and the CS300 aircraft have over 99 percent parts commonality as well as Same Type Rating. The groundbreaking Pratt & Whitney PurePower® PW1500G engine, combined with the aircraft’s advanced aerodynamics, delivers reduced fuel burn, noise, and emissions – making the C Series the most community-friendly aircraft.